AF&RS hold former staff and AF&RS pensioners’ email contact details, which we use for pensioners communications, which consist of copies of the AF&RS staff bulletin, forthcoming retirements and other socials, bereavements and general news which may be of interest to you. These email addresses have been provided to us by you, which means that you have consented to us contacting you via this method. 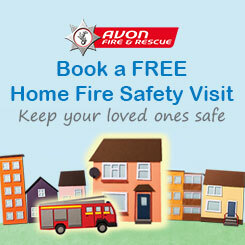 Sometimes our HR department will pass on your email address where you have indicated on your leavers letter that you would like us to keep in touch, or we may receive updated email addresses direct from the Avon Fire & Rescue Service Pensioners Association, where you have asked them to share it with us. The emails are retained until you either update us of any changes or you would like to be removed (to withdraw your consent). For former colleagues who have sadly passed away, we will remove their email address from the contact list, however, sometimes a next of kin may provide an alternative email address to still stay in contact. Again, we do this by consent. We retain any pensioners’ email correspondence for the current financial year, plus a further 3 years, in line with good practice. Please note that our Pensioners’ and former staff communication/email contact list and any correspondence is held independently from any official AF&RS HR records and systems. In addition, our Pensioners’ email contact list is held independently of that managed by the Avon Fire & Rescue Service Pensioners Association, however, we will share email addresses with them for legitimate reasons (and vice versa), taking into account your rights and expectations. If approached by a third party to share your email address, we will either gain your prior consent or pass on the third party’s details to you and then it is at your own discretion whether you wish to make contact with them, unless we are required by law to share that information. Under the data protection legislation, you have a number of information rights and these are explained on our Data Protection pages of the AF&RS website.